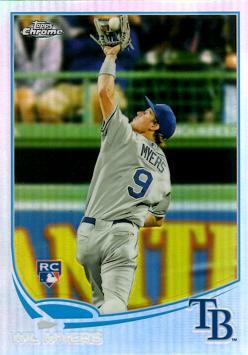 You are looking at an authentic Wil Myers Autograph Baseball Rookie Card, and a rare one at that. The Blue Refractor version is serial numbered to 199, meaning only 199 of these cards were produced. 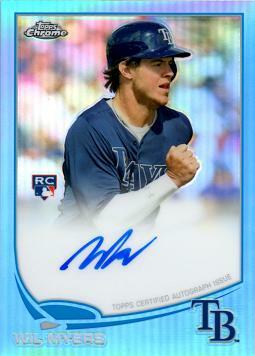 In addition, this baseball card is a "Topps Certified Autograph Issue", guaranteeing the signature is authentic and of Wil Myers himself. 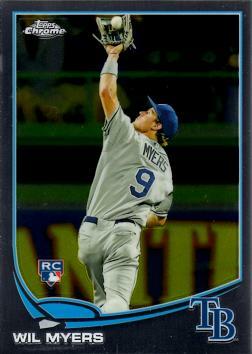 2013 Topps Chrome Blue Refractor Autographs #WM - Only 199 made!